Every so often a singer-songwriter comes along with the wow! factor. Releasing a collection of music in a debut album which just takes your breathe away. 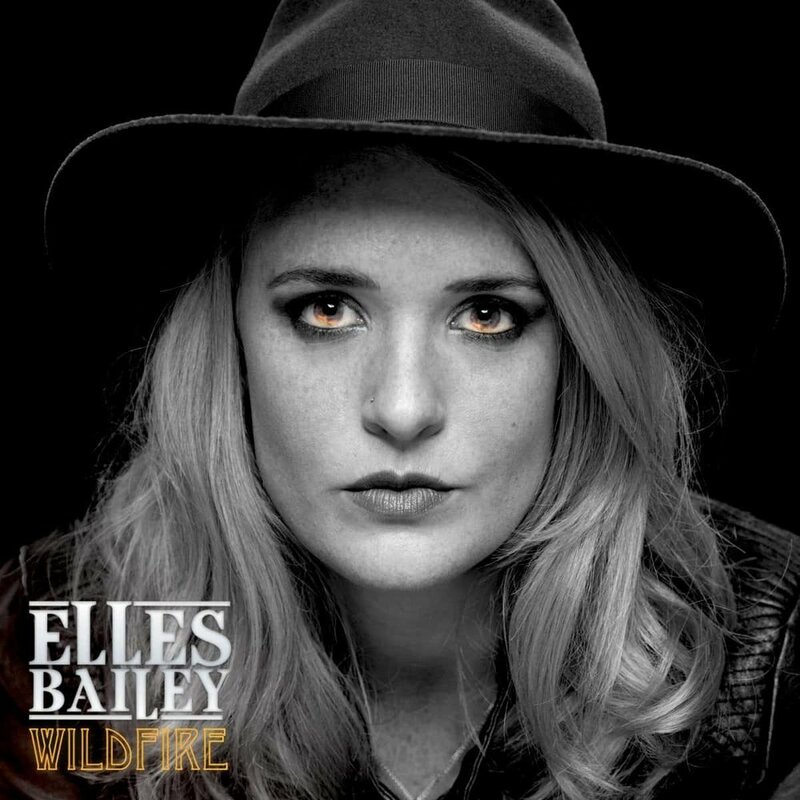 Bristol based Elles Bailey is such a singer-songwriter, she seamlessly weaves rootsy blues, country and soulful rock with a contemporary edge with her trademark ‘smoky vocals’ front and center. Her new album 'Wildfire' is an absolute gem and it's already receiving a lot of love from critics and fans alike. Elles husky toned, lived-in voice sounds like she has a 60-a-day habit, but was actually caused by a serious illness when she was three. Her two EP's, both produced by Brian Banks, (Michael Jackson, Lionel Richie) 'Who I Am To Me' (Feb 2015) and 'The Elberton Sessions' (Oct 2016) were released to critical acclaim. 'Wildfire' is a revelation and is sure to bring her to a much wider audience. No stranger to the scene, over the last three years, this captivating, hard-working songstress and her very talented band have built up a loyal all-age fan base through relentless touring, through both the UK and Europe. She’s opened for acts like Wille & The Bandits and shared festival line-ups with artists including Lisa Simone, The Mystery Jets, Jo Harman & Wilko Johnson. Like many artists today, Elles is breaking down the barriers of traditional genres, taking inspiration from many and fusing them together to bring you her own unique sound, which is earning her a legion of devoted fans, young and old, from across the UK and further afield. 'Wildfire' was recorded at The Blackbird Studios in Nashville with a band of 'all-star' musicians and also at the famous Modern World Studios in Tetbury. The album was produced by Brad Nowell. It's full of high quality songs and super musicianship and one of our LCM favourite albums so far this year. The album opens with one of my favourites the title track 'Wildfire'. A Country blues and rock marvel instantly transporting you to the American Mid West. Full of power, emotion, high quality lyrics with a killer guitar riff. This is a super song played live. 'Well I heard the story, I’ve read them all before. Page by page I turned them, watched you shut the door. But the storm clouds they are rolling in, thunder has spread the sky. Like a willow tree that once stood tall, I see through the lies. The heavens open and the sky explodes. Continuing in the same vein 'Same Flame' is a hot and steamy number with powerful vocals from Elles and super musicianship from the band. 'You and me are like fire, dancing on a high wire, danger and desire. I can’t tell between the two. Cos we got burned by the same flame, Love and hate has got the same name. Passion and pain is all the same. We got burned by the same flame"
The theme of flames and fire permeates the next smokey relationship song 'Barrel Of Your Gun'. The underlying rhythm really reminds me of 'Personal Jesus' by Depeche Mode. With a gospel feel intro 'Perfect Storm' builds to another wonderful country Rock Blues number. You can imagine a full backing choir on this one. Echoing the greats Howin' Wolf and Muddy Waters 'Let Me Hear You Scream' features some great guitar blues slide. Taylor Swift would be proud of this slowed down, bluesy, soulful and toe-tapping cover of her big hit 'Shake It Off'. The original was written by Taylor, Max Martin and Shellback. 'The haters are going to hate'.......not on this version. Watch out for another super guitar solo. Very appropriately named is the final song before the bonus track is the 'Girl Who Owned The Blues', which perfectly sums up our review. It's a six-minute song about the great Janis Joplin. 'Wildfire' is a super album and it's quite rightly getting 5* reviews in the musical press. Watch out for this lady and her band......a future superstar in the making. The final track is the bonus 'Time’s a Healer', where Elles has to carry on despite a messy break up. ‘I hate the way I still love the way you made me feel’. It features another terrific slide guitar solo. 'Wildfire' is a super album and it's quite rightly getting 5* reviews in the musical press. Watch out for this lady and her band......a future superstar in the making.